This passed weekend we made the annual family trip to the Christmas tree farm, chose our festive fir and spent Sunday evening sipping mulled wine and unboxing baubles and beads for decorations. And I think for the first time ever it was actually snowing for this tradition! I've also been lucky enough to experience some wonderful Christmas dinners in London over the passed couple of weeks, one of which was hosted by the lovely folks at House of Fraser, way up in the Perrier Jouet room at the top of the Gherkin! There were cocktails, festive table decorations, gift wrapping and gift-giving – such a wonderful evening with some other fellow influencers. So with all this in mind, it's safe to say I'm really starting to feel festive. I received some really gorgeous gifts during the evening so thought I'd share them with you here in a mini-guide as I know they'd make wonderful presents for your nearest and dearest this Christmas. Or if you just fancy treating yourself – that's totally allowed too and something I keep finding myself doing on every attempt at Christmas shopping lately, oops. I've never not been thrilled to unwrap a beautiful candle on Christmas day. 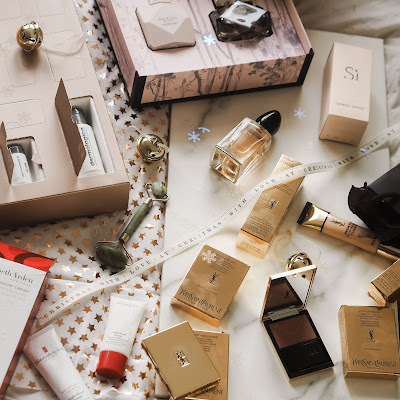 I'm a bit of a hoarder of them myself, but I honestly think they make such a wonderful treat for anyone and House of Fraser have such a great collection for all brands and budgets. I chose one of my favourite scents by Jo Malone, the Lime Basil & Mandarin scented candle. It's a divine scent all year round and the beautifully classic packaging is something I totally adore and makes it perfect for gift giving. Shop all Jo Malone at House of Fraser here. I was introduced to Bobbi Brown earlier on this year and have been loyally indulging in their make-up ever since, so was totally over the moon to find some key pieces in my goody bag on the night of the dinner. You can guarantee a berry-toned Luxe Lip Colour or Smokey Eye Mascara by Bobbi Brown will go down a treat with your beauty-loving bestie, but why not take a peek at their skincare range too. I've been trying it out a lot lately and some of their make-up base moisturisers are really lovely and would make a thoughtful gift that your beauty-fan might not have even tried yet! House of Fraser also have a fab section in their Christmas shop for your cocktail lovers and alcohol connoisseurs. From glam martini glasses to recipe books and bar tools, there's plenty of great gifts to choose from. I won this beautiful silver cocktail gift set by Linea during the dinner for coming first place in the gift wrapping contest! It would be a perfect present for any 'spresso martini fans (ahem) or even for a couple that you know who've recently moved into a new home. I was also lucky enough to receive this gorgeous little clutch by Issa in my goody bag, and I don't know any girl that wouldn't be as excited as I was to receive a luxury handbag this Christmas. There's lots of brands to choose from at House of Fraser – from Micheal Kors and Mulberry to their Label Lab and Therapy, you'll find one to suit every budget. Hope you enjoyed this post and can take some giftspiration and ideas from these wonderful pieces I've either been enjoying myself or will be gifting to others. Thanks for reading and happy Christmas shopping! 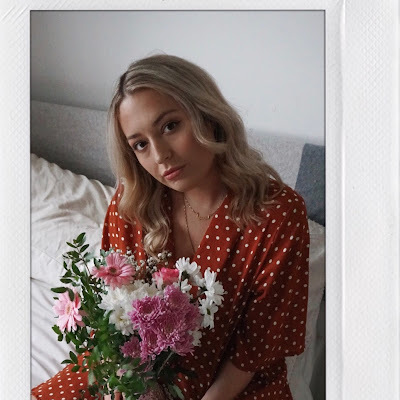 This is a sponsored post created in collaboration with House of Fraser but all thoughts, words and imagery are my own.